The two claim that the WP7.1 has over 500 new features, which focus on communication, applications, and how users utilize mobile Internet. Meanwhile, the People Hub now includes LinkedIn and Twitter, apart from Facebook, Hotmail, and Gmail. Mango will also have a Groups feature that allows multiple users to communicate across multiple platforms, all while integrating their profiles, pictures, and a group history of all events and communication shared. It makes use of Windows Live Messenger and Facebook Chat to help people connected with friends, even those who are using other phones. Another new feature is an upgraded Call History, which will integrate voicemail, missed calls, text messages, and calendar events from a particular contact. Meanwhile, speech-to-text will provide truly hands-free texting. WP7.1 will also upgrade different Windows Phone Hubs, especially Pictures, Office, and Xbox Live. 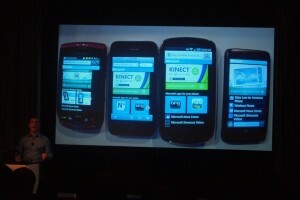 The new Windows Phone OS will also include Internet Explorer 9 and Bing integration. The mobile browser features hardware acceleration and support for HTML5, while Bing offers a Quick Card for certain movies, events, places, or businesses. Users can even simply snap a QR code or even a book cover to bring up a Quick Card for that product. 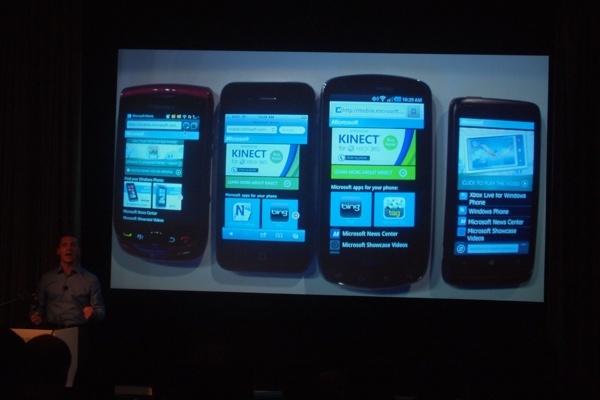 WP7.1 Mango is expected to become available to users in Fall 2011, although developers can now tinker on the SDK.